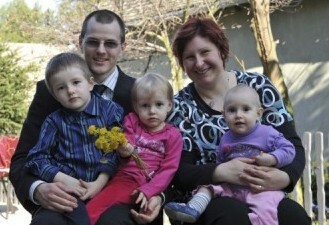 Some news about the ministry of CEF in Serbia. 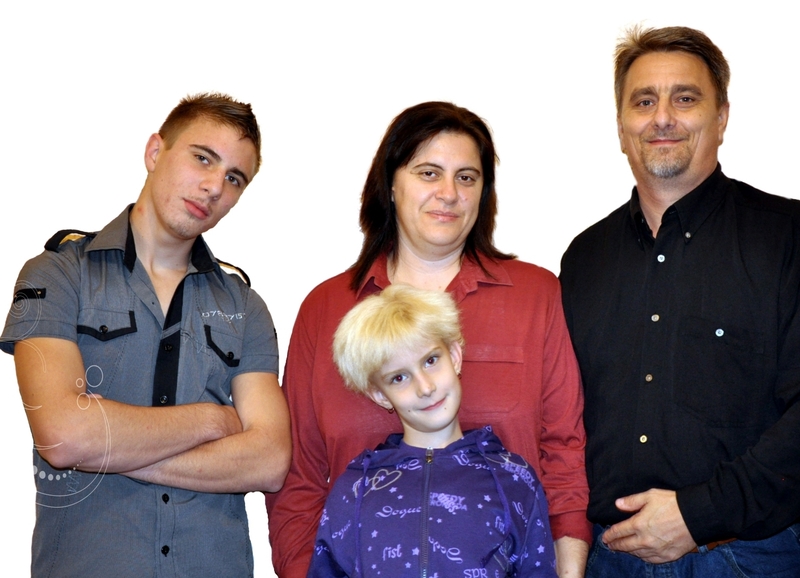 Darko and Lidija Adamek - National Directors of CEF® Serbia and Montenegro. 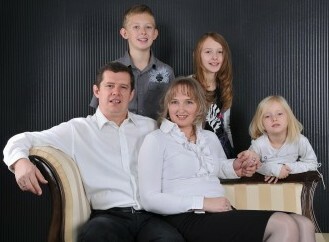 God has blessed us with three children: Dia-na, Deborah and Damian. 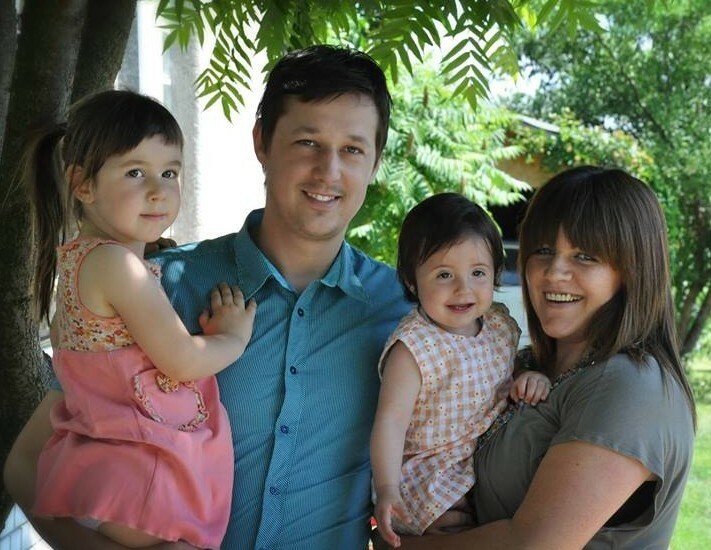 Jan and Ruzenka Jambrih serve God as local workers in the area of Vranje (South Serbia). They are pioneers in their region. They started their ministry among boys and girls in a very difficult area. Renáta and Sámuel Halász are local workers in Wojwodina among the Hungarian minority. 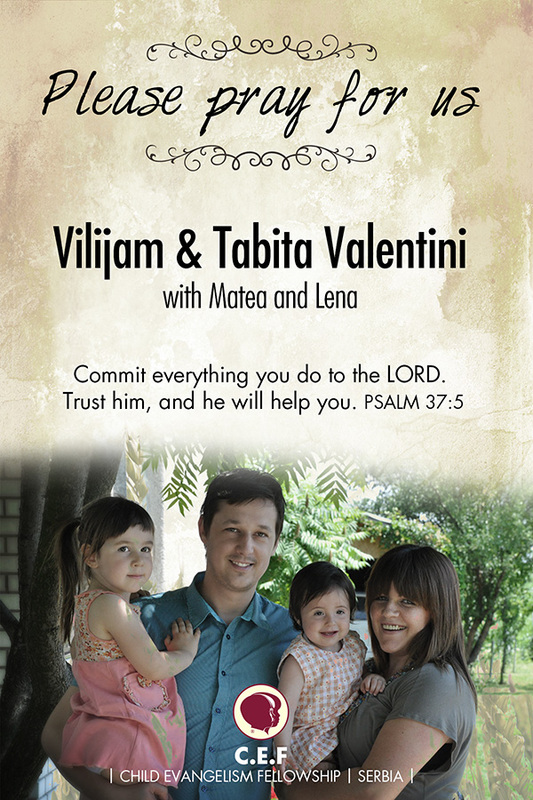 Vilijam and Tabita Valentini are co-workers in the CEF National Office in Nis, Serbia. 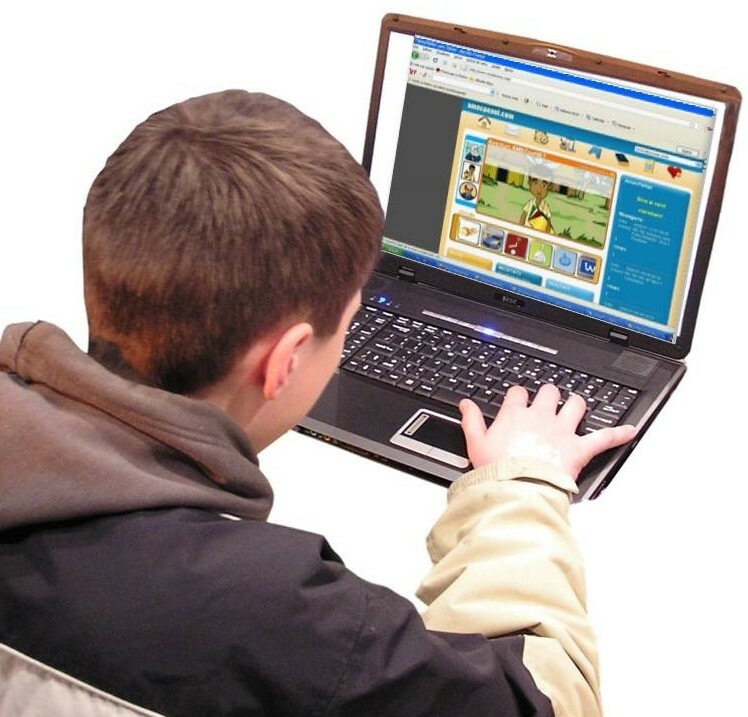 Vilijam serves the Lord as a graphic designer, multimedia & web. Tabita´s ministry is being a help in financial part and accounting. Marina Faraga works full-time in the CEF National office in Nis. 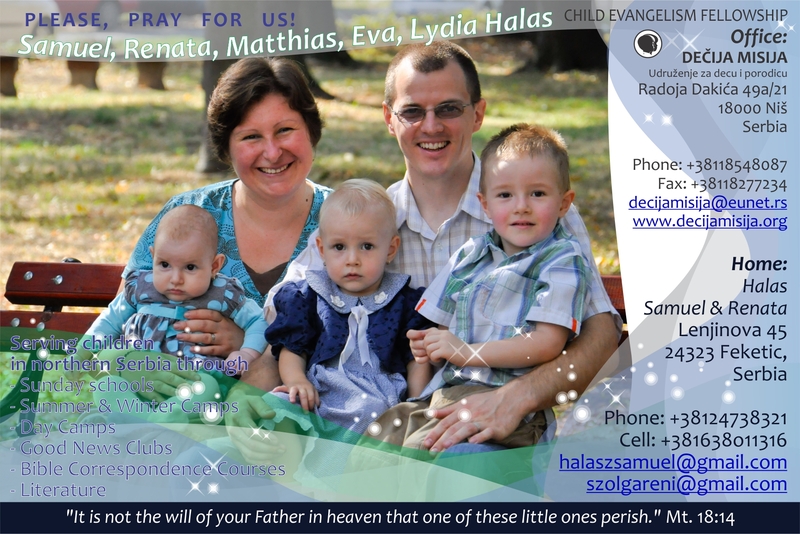 Katarina Hric is serving God as a local worker among the Slovakian minority in Vojvodina. Darko Srnka is the leader of the Junior & Senior Youth Challenge. Being involved in ministry to the generation that comes after us is the great spiritual privilege. The Lord has put on my heart to work with teenagers, young people, and I'm involved in organizing summer camps. God gave me the gift of teaching. I'm involved in the ministry of teacher training courses (TCE 1) and also preparing volunteers for summer activities. This year we held seven Holiday Bible Clubs and 5-Day Clubs. Most of these clubs were held by students from Serbia and Montenegro who studied at the CEF Children’s Ministry Leadership Course®(CMLC®) in Romania this summer. Halfway through the course, the students returned to Serbia to do their practical. It ­is was an outstanding chance to put the theoretical knowledge into real practice in four diﬀerent locations. Praise the Lord for the possibility to reach boys and girls with Gospel. By His Grace the children got the chance to get to known Him and to come closer to the Truths of the Holy Bible. We are having eight camps this year at the CEF Campground in central Serbia. Our Children's Camp started off the season with 43 campers! It was so encouraging to see the continued spiritual growth in some of the children since last year's camp. CEF workers Jan and Ruzenka Jambrih were first-time camp leaders and they did an excellent job. There will also be a two-week period midsummer for continuing renovations to the property. 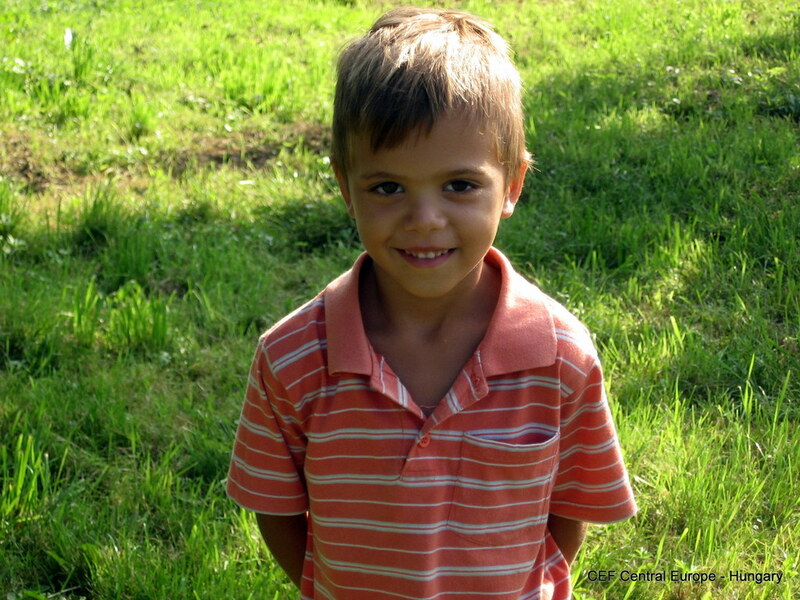 An English Camp and a Music Camp will provide exciting opportunities to meet new children. If you want to get more information please contact Darko and Lidija Adamek, the CEF National Directors! 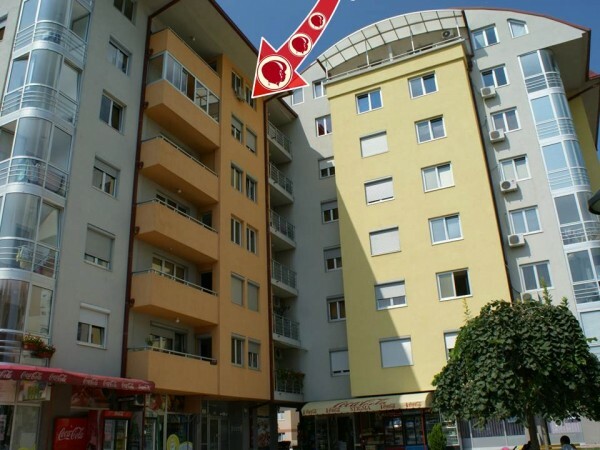 Here you can find some actual information on the ministry in Serbia!